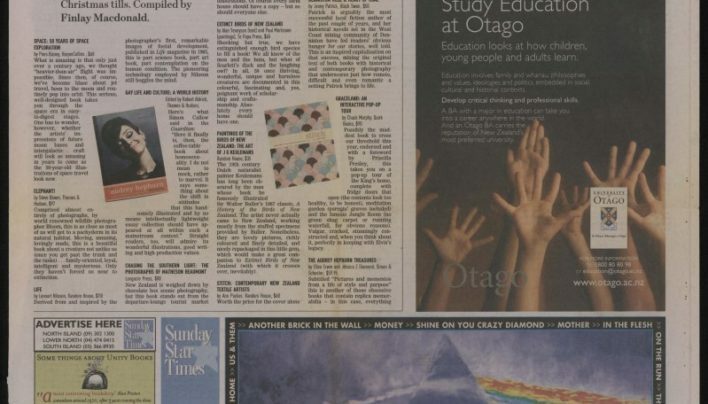 Our advertisement for the Christmas season, as it appeared in the Dominion Post. 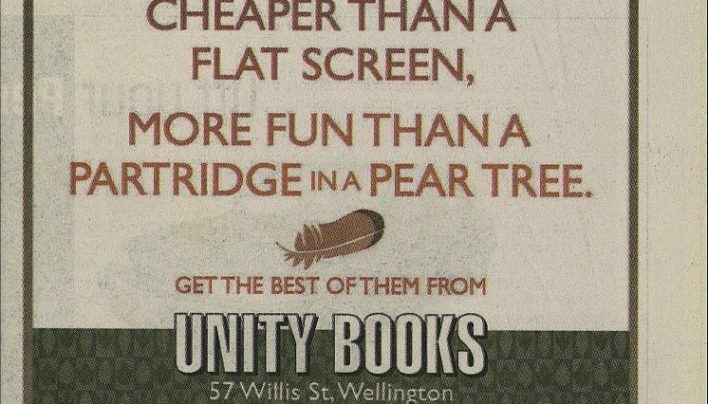 An advertisement from Christmas 2010 features Sarah Maxey-designed owls and some creative collective nouns. 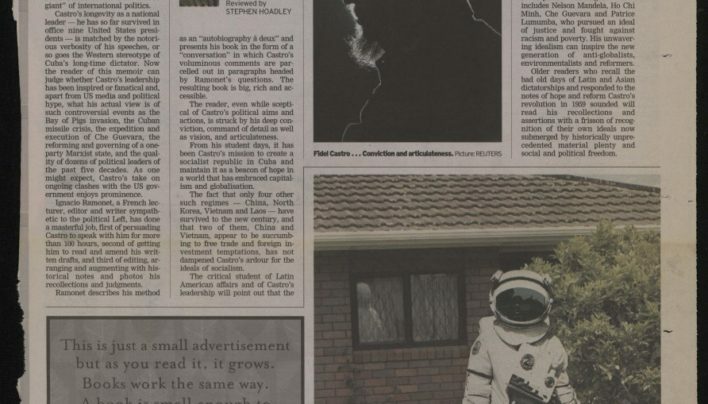 Our Christmas advertisement as it appeared in the Dominion Post. 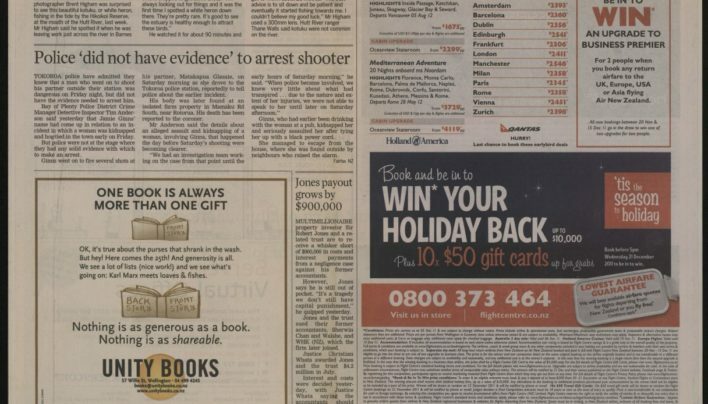 Our Christmas advertisement as it appeared on the book page of the Sunday Star-Times in December 2006. 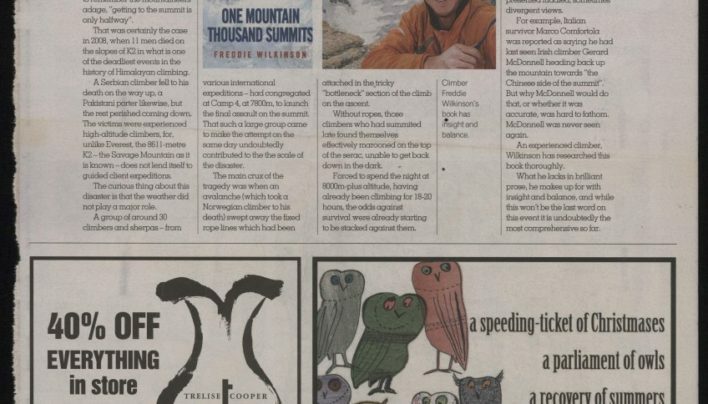 Our Christmas advertisement alongside those of other bookshops, on the book page of City Voice. 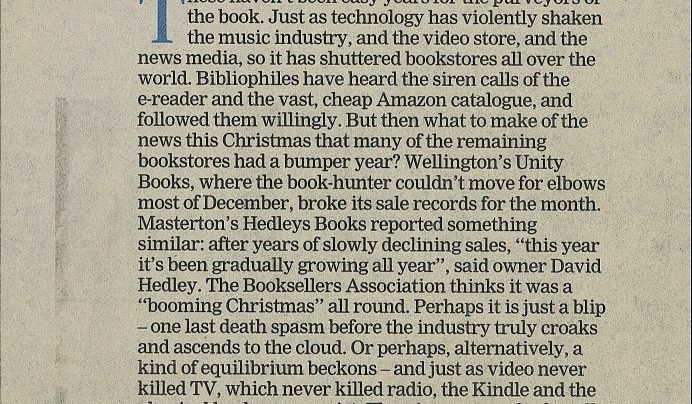 The Dominion Post reports on a bumper Christmas season for bookshops. 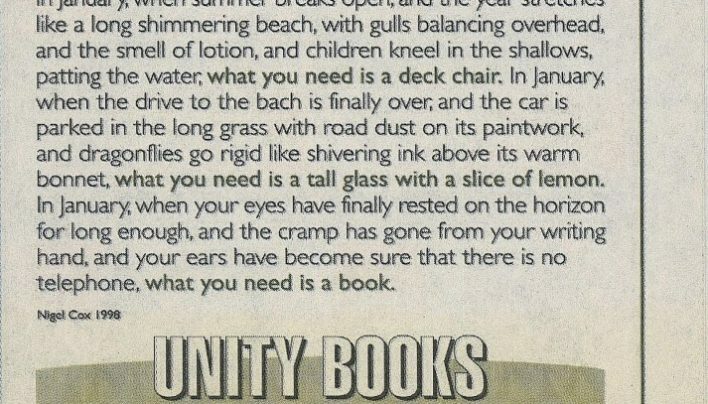 An advertisement from December extols the benefits of forward-planning your summer reading. Our Christmas advertisement lists some of the lesser-celebrated characteristics of books which make them an excellent gift option. 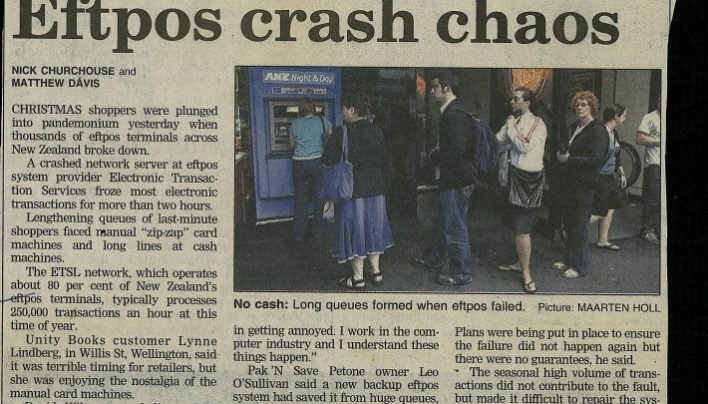 Nick Churchill and Matthew Davis report on chaos as the ETSL network failed for two hours over the busiest Christmas shopping period of the year. 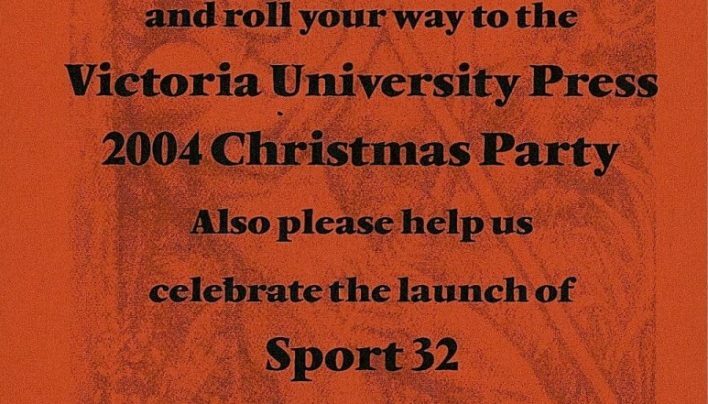 An invitation to celebrate Christmas and the launch of Sport 32 with the crew from Victoria University Press.